Heat oven to 350°F. Spray 12-cup bundt cake pan with cooking spray. In shallow bowl, stir granulated sugar and 1/2 teaspoon of the cinnamon. Set aside. Separate each can of dough into 8 biscuits. Cut each biscuit into fourths. 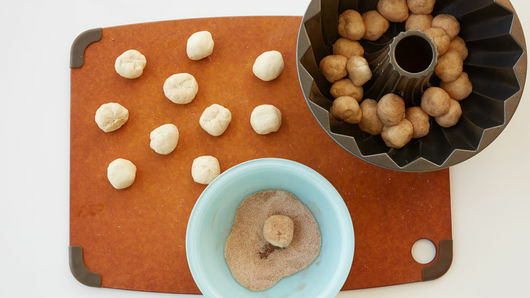 With hands, press and stretch each piece slightly to make dough round. Place 1 piece of candy in center of each round. 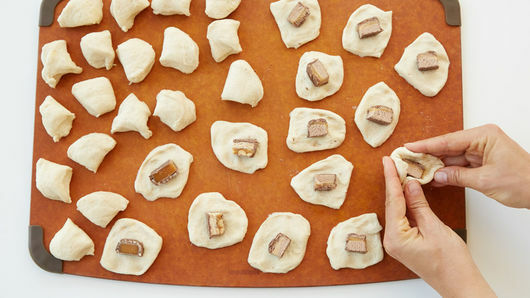 Bring sides of dough up and over candy; pinch dough to seal and enclose candy. 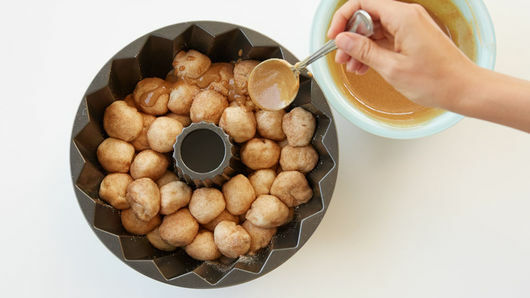 Roll dough balls in cinnamon-sugar mixture. Place in pan. In medium microwavable bowl, microwave peanut butter and butter uncovered on High 20 to 30 seconds; stir until smooth and creamy. Stir in brown sugar and remaining 1/2 teaspoon cinnamon; pour over dough. Bake 40 to 45 minutes or until golden brown and no longer doughy in center. Cool in pan 15 minutes. Run knife around edge of pan to loosen. Turn upside down on serving plate. Cool 5 minutes. Remove pan. Meanwhile, in small microwavable bowl, microwave hazelnut spread uncovered on High 30 to 50 seconds or until thin enough to drizzle. Drizzle over bread. Use milk chocolate-covered nougat and caramel candy bars instead. 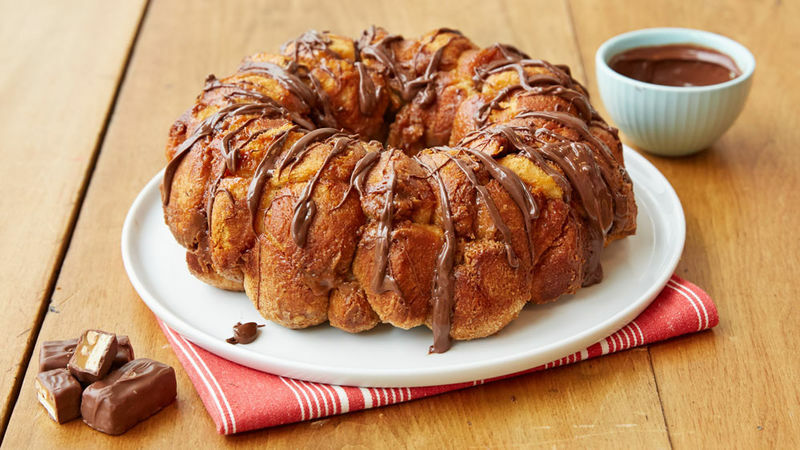 This delicious monkey bread would be great served on a dessert buffet table.